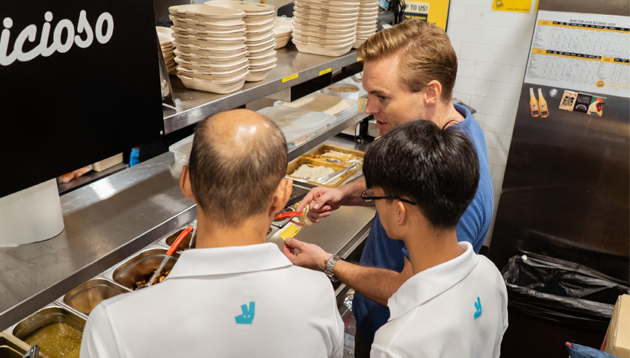 Deliveroo has embarked on a new rider engagement programme, Rider Bistro, which sees its riders invited to work at select restaurant partners for a lunchtime shift, giving them a deeper understanding of the experiences and challenges faced by both parties. According to a press release, Deliveroo hopes to open up communication between both the riders and restaurant partners, cultivate stronger working relationships and ultimately improve the entire delivery experience for riders, restaurant partners and customers. 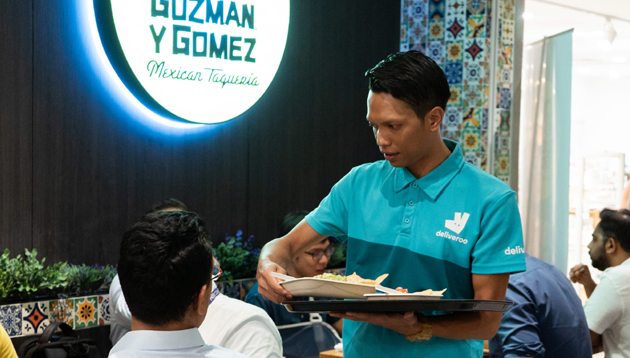 The first trial was launched with Australian casual-dining restaurant Guzman y Gomez in December 2018, and will roll out on a wider scale across the year, following positive rider and restaurant feedback. Other restaurant partners include: Blu Kouzina, Wolf Burgers, Soup Restaurant and Peperoni Pizzeria. Over the next 12 months, Deliveroo will invite up to 50 NEA-certified (National Environment Agency) riders as extra restaurant support but on an optional, first-come-first-served basis. These riders will learn more about food preparation, bagging and tagging, as well as cashiering to help them understand the three areas crucial in the delivery process, especially during periods of high order volume. During this period, Deliveroo will also assess the impact of the programme through regular feedback from restaurant partners and participating riders. Among companies that are already using AI and robotics, 85% will expand their use of automation. ..